Learn how to make cannabutter. Making marijuana butter is simple. How To Make Cannabutter That Works! Making Marijuana Butter Is Easy. 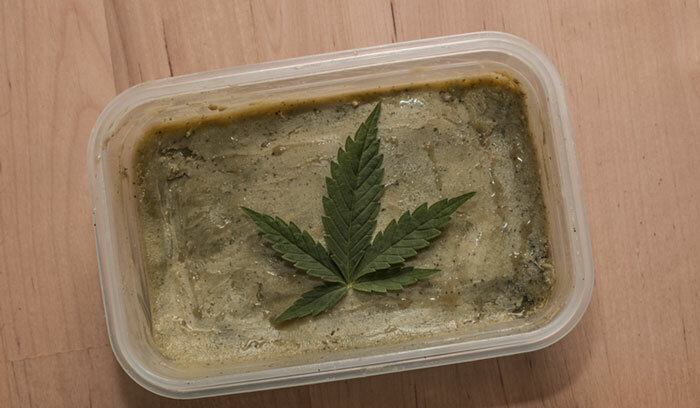 Knowing how to make cannabutter is the core of most marijuana food recipes. Weed butter is the essential ingredient that gives the high in marijuana food, so take your time to make it right. Making marijuana butter requires just a few simple steps. Mostly, your time will be spent waiting, however, the longer you wait the better the pot butter. Patience does pay off. 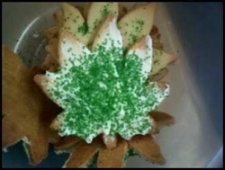 The marijuana effect of these weed butter recipes “should” get you stoned. A great benefit of cannabutter is that it can be applied to almost any food recipe that requires butter. Making Marijuana Butter Video At Bottom of Page! 3 sticks of unsalted butter, not margarine! 1/2 oz. or more marijuana leaf, less if using buds. Large pot for boiling, large bowl, small bowl, strainer, grinder, cheesecloth or simply an old pair of pantyhose. marijuana leaves using a clean electric coffee grinder for ease, or you can do it by hand with a bud grinder or with your hand. The more the leaf and bud is ground the easier it is for THC extraction. 2. Grab your large pot and add the 3 sticks of unsalted stick butter. Heat on very low stirring occasionally until melted. Don’t get stoned and burn it! 4. The hardest step in making marijuana butter is that you must wait! The longer you wait with this recipe the better the bud budder. 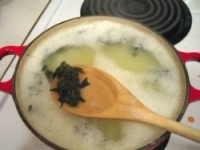 Let your weed butter mixture simmer for no less than two hours, and no more than 24. Yes patience! If the mixture looks like it could use some more water during the wait time feel free to add a little bit more. 5. After you can’t wait any longer, remove the bud butter from heat and let it cool until manageable (about five or ten min). Now pour your fresh marijuana butter through the strainer into your large bowl, this removes the big pieces of marijuana leaf. 6. More extraction for a nice buttery consistency. If you have a cheesecloth handy this step is easy. If your butter is still hot wear rubber gloves. If you do not want to burn yourself. Soak the cheesecloth in the budder, and squeeze into your small bowl used for storage. You can repeat this process to remove more of the marijuana remnants if you feel it is necessary. 7. Cover your bowl and place it into the refrigerator to cool. 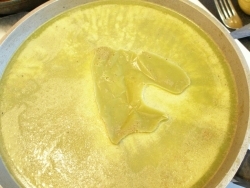 The remaining water will separate from the butter. Once cooled you can easily pour off the excess water, and enjoy your fresh marijuana butter. Now that you know how to make cannabutter you should try it in one of your favorite recipes that requires butter, like brownies, cake, or cookies.